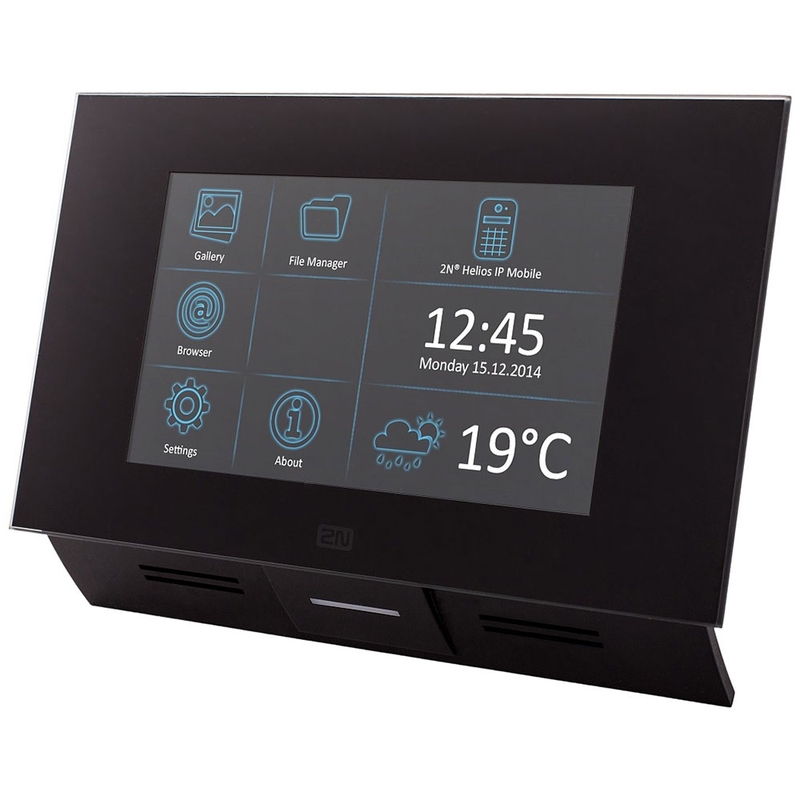 2N Indoor Touch 2.0 combines contemporary style with advanced network integration. Indoor Touch runs Android and has a large 7" capacitive touchscreen display, making the answering unit as easy to use as a smartphone. With 24-bit color and a widescreen 16:9 aspect ratio, Indoor Touch looks great. 2N Indoor Touch 2.0 supports the open SIP protocol and integrates with access control systems to provide simple, secure management. 2N Indoor Touch comes with a built-in microphone and 2W speaker for two-way communications at doorways or gates. It supports video solutions or IP cameras with compatible solutions. Use an SD card to store video in the unit.